Many beautiful HILL WALKS are available throughout the adjacent countryside. Min-Y-Don also has a tennis court, putting lawn and a GAMES ROOM with table tennis, pool & table football. Min-Y-Don is a Government Licensed Activity Provider and undergoes regular inspections to ensure that the quality of activities, instructors and safety is maintained. 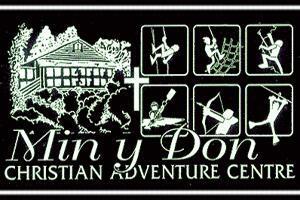 Licence details can be confirmed by calling The Adventure Activities Licensing Service on 029 2075 5715.